Sandwich Wednesday! Why? Because Wednesday is right in the middle of the week, sandwiched! 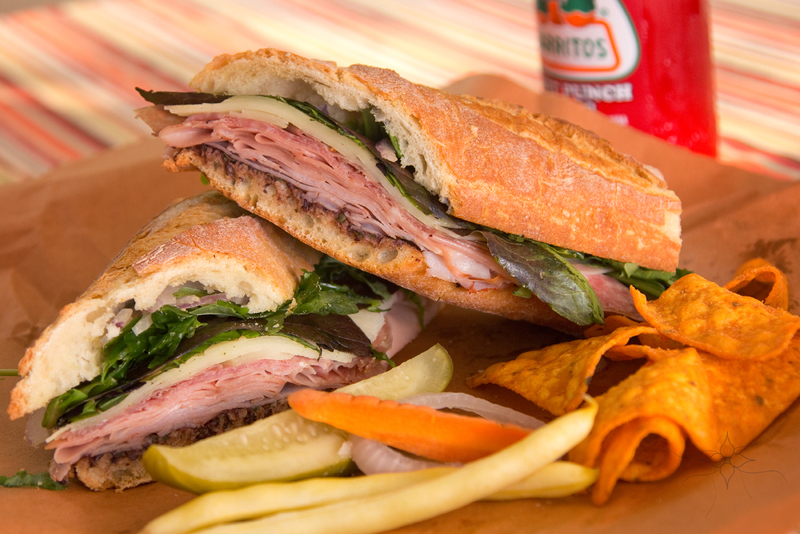 For my first Sandwich Wednesday I’m featuring my Italian Filone. This is another photo taken by Jason Bleecher. I think he made this sandwich look extra good! Filone is a type of bread that is like a big fat baguette with crusty outside and soft inside. I stuffed it with Italian meats from Mandros Imported Foods. They have the best selection of cheeses in Lancaster – if you’re from around Lancaster, you have to stop in and try some! They also have awesome salami. The Sandwich starts of with an olive tapenade made with kalamata olives, capers and roasted red peppers. I layered on capicola, mortadela, genoa salami, and provolone cheese. It’s topped with spring mix and red onion. I hollowed out the top to the bread so that all the sandwich filling could fit inside.